Despite the Chancellor promising that the government would introduce a series of measures to provide financial relief to struggling retailers and small businesses, the UK retail industry remains in turmoil. Last October, Chancellor Hammond described high street retail businesses as being “under pressure as never before” and planned £675 million of funding for local councils in support of their efforts to improve their shopping districts. But a changing retail climate and continued economic uncertainty has meant the sector has remained in trouble. 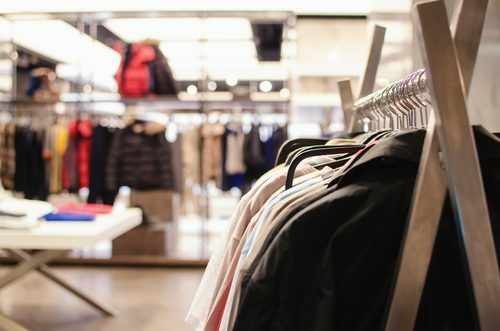 Retail store closures continued across the UK throughout 2018, with the North West seeing the biggest net fall in its number of stores in five years. According to research compiled by the Local Data Company, closures continued to outstrip the number of store openings. Looking at 500 town centres in the UK, last year only 311 shops opened in the North West compared with 555 shop closures. This net decrease is the biggest fall in a single year since 2013, which was at the tail end of the recession. 5,833 shops shut last year nationwide, while only 3,372 were opened. Sports Direct owner Mike Ashley had a series of bids – culminating in a £200m offer – for Debenhams rejected, with the retailer opting instead to go into administration. Debenhams called in administrators who turned the company over to its hedge fund owners. Now, up to 50 stores could close across the UK as part of a pre-pack deal to sell the company out of administration. The move could see around 4,000 jobs being lost. Chairman Terry Duddy says Debenhams stores will “continue trading as normal”, with the aim being to protect as many stores and jobs as possible as part of a restructure. Calling in the Administrators does not mean the end of the line for a business. In many cases, with this restructuring process the company is bought out of Administration by another party and goes on to be very successful with many of the stores and jobs being saved. However, Administration is not always the right solution for a retailer with cashflow problems. Where the business has multiple stores, it may be that a Company Voluntary Arrangement (CVA) is the best option. A CVA can often result in a renegotiation of rents and some much-needed breathing space with suppliers. For retailers with one or a few outlets, a Creditors’ Voluntary Liquidation (CVL) is often the best way for dealing with the debts of the company and fulfilling all the directors’ legal obligations. If you are the owner of a retailer which is experiencing cashflow problems, there are a number of options for you to consider. You should speak to a Licensed Insolvency Practitioner to get their expertise to determine what your best option is. Here at Clarke Bell, we have been trading for more than 24 years, providing specialist advice to retailers and a wide range of other businesses. We will help you work out which option is the best one for you and your particular situation – whilst ensuring that you are fulfilling all your legal duties as a company director. Contact us at Clarke Bell today to get your free and confidential advice.